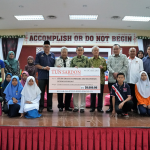 Since incorporation, the Foundation had paid out a total of RM 2.65 million, in form of donations to charitable organizations, relief funds, study awards to first degree university students and educational grants to primary and secondary school pupils. 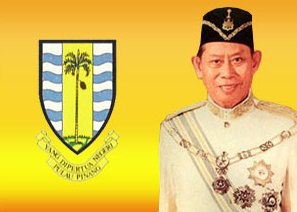 The first donations were made in 1979 when the late Tun Datuk Haji Sardon as the TYT Yang Di-Pertua Negeri Pulau Pinang personally presented donation to 12 organisations. 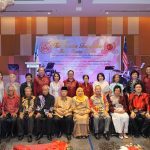 Since then till todate, in connection with the Foundation’s celebration of TYT’s birthday, the Foundation had given out donations totalling RM 1,500,000 to at present 40 charitable organisations including Handicapped Children, Lam Wah Ee Hospital, Mount Miriam Hospital, The Penang Homes for the Infirm and Aged, Persatuan Kebajikan Anak-Anak Yatim Islam Pulau Pinang, Ramakrishna Asrama, Persatuan Kanak-Kanak Sepastik, Rumah Orang-Orang Tua Jubilee Perak and special donations. 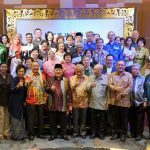 · Donations totaling RM 1.5 million to over 40 various charitable organisations, including the Lam Wah Ee Hospital, Mount Miriam Hospital, The Penang Homes for the Infirm and Aged, Persatuan Kebajikan Anak-Anak Yatim Islam Pulau Pinang, Ramakrishna Asrama, Persatuan Kanak-Kanak Sepastik, the Rumah Orang-Orang Tua Jubilee Perak and including our special donations. · 1988 – a special donation of RM 60,000 to the Ferry Disaster Relief Fund. · 1992 – a special donation of RM 8,000 to the TAR College Building Fund. · 2000 – a special donation of RM 10,000 to the TYT Fire Disaster Relief Fund. · 3/2005 – a special donation of RM 10,000 to the TYT Tsunami Disaster Relief Fund. 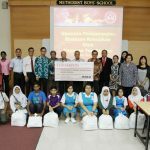 · 9/2005 – a special donation of RM 5,000 to the BM High School Scholarship Fund. · Since 1991 Study Awards totaling about RM 450,000 to 50 deserving students pursuing first university degree courses. We are pleased to inform that since then more than 35 university students have graduated. List of activities undertaken by the Foundation since its establishment. iv. 3/2005 – a special donation of RM 10,000 to the TYT Tsunami Disaster Relief Fund. v. 9/2005 – a special donation of RM 5,000 to the BM High School Scholarship Fund.